The National Park Service has extended the public comment period for its National Mall management plan until February 15. We encourage you to learn more about the proposals in NPS’s Newsletter #3 and submit comments here. Also, interested organizations and groups should contact NPS about participating in the Section 106 public consultation process for this project, which is required by the National Historic Preservation Act. See contact information in bold below. On January 8th, 9th, and 12th, the National Park Service held three public meetings in Washington on its Mall management plan. We were able to attend the first two but not the third where, according to news reports (see the two reports below), controversy erupted over the NPS’s proposal to restrict public gatherings on the Mall. Attendance at the two sessions we attended was about 50-60 people, including a large contingent from the National Park Service and federal and DC agencies as well as some local nonprofits, tourism, and citizens groups. The format of the 4-hour sessions included a presentation by NPS representatives followed by questions and comments from the audience. The discussions included several topics that are not covered in the NPS newsletter and draft alternatives. For example, Session 1 focused on restrooms and food and gift concessions. One main topic was where to relocate the temporary food/gift concession at the Washington Monument. Questions were raised about the NPS’s proposed three alternative sites, all near Tourmobile stops along traffic-heavy 14th and 15th Streets, and one situated at the foot of the Monument directly on the Capitol-Monument axis. What about identifying additional sites that serve the needs of pedestrians and local residents who would simply like a quiet, sheltered place to enjoy rest and refreshment? Tom Thomas at 303.969.2141 or [email protected]; or Craig Cellar at 303.969.2417 or [email protected]. The stated premise of NPS’s Mall management plan is that the Mall is, as Congress declared in 2003, a “completed work of civic art.” What does that mean? And how does that square with NPS’s proposal to redesign the Capitol Reflecting Pool and surrounding plaza, to reshape the Tidal Basin, relocate the Sylvan Theater, and add new structures, including food and gift concessions and restrooms, throughout the Mall, all of which will alter important elements of the Mall’s design and public uses? 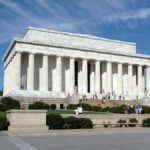 How will the NPS engage DC Government, local residents, and citizens across the country in this planning process that will affect the future of the National Mall which–unique in our national park system–serves multiple purposes as an urban park, a civic stage, and a symbol of our nation’s identity? The Federal Emergency Management Agency (FEMA) has issued new flood maps for Washington DC that show large areas of the Mall and surrounds in the 100-year flood plain. How will NPS’s plan address this threat to all aspects of the Mall’s physical and environmental integrity and to public uses? You can see the new maps for the entire city — the National Mall is covered by map 0018C and 0019C . See also the January 7 story about the flood maps in the Washington Post here. WJLA, DC – Activists are fighting for the right to keep protesting on the National Mall while the Park Service is trying to limit the size and number of rallies held there in an effort to protect the grass. Saturday, the Park Service held a final meeting for public input on plans to revitalize and restore the green space on the Mall, while still accommodating the crowds. However, this idea of limiting or even preventing people from gathering on America’s front yard has raised concerns from civil rights groups. “Once you have the government telling people where they must stand to express a political point of view is the point which you have the government in violation of first amendment rights,” explains Mara Verheynan-Hilliard, the co-founder of the Partnership for Civil Justice. The National Park Service says it is just trying to preserve the natural resources and has even offered three alternatives to the original plan. The NPS is still seeking additional public input and is asking that public comments be received by January 15th. [Editor: the deadline has been extended to February 15] Once the information is compiled, they will develop a draft plan and environmental impact statement to be released this Summer. Attorneys for activist groups fear a designated, government-approved “pit,” limiting freedom of speech and movement in a hallowed place of protest. The proposal to turn Union Square, the site of the Capitol reflecting pool and the Grant Memorial, into an “urban civic square” is one of many ideas the Park Service is mulling over as it plans the future of the Mall. But that and other suggested changes have sparked harsh debate between government officials seeking to preserve one of the country’s most heavily used national parks and activists concerned about limits on free speech and civil rights. “This is a sugar-coating effort to conceal the real plan, which is to reorganize the Mall from its traditional venue as the heart and soul of this country’s free-speech protest movement,” said Brian Becker, national coordinator of the antiwar ANSWER coalition. The Park Service requires permits for most demonstrations and has “reasonable time, place and manner restrictions” for them, she said. What is proposed is only a better place to protest, with more facilities, she said. But lawyer Mara Verheyden-Hilliard of the Partnership for Civil Justice, which advocates for protest groups, noted that the Capitol might not always be the protesters’ target. None of the proposals for the Mall’s future, laid out in three mix-and-match alternatives, has been adopted. The Park Service says that they are only suggestions and that it is seeking public comment. The proposals, which Spain said were developed from prior public input, are part of the Park Service’s attempt to better manage the Mall, which has an estimated 25 million visitors a year and in many areas is worn from age and use. The Park Service issues 3,000 permits a year for events on the Mall. About half are for “First Amendment” demonstrations. Most of those involving politics draw a few hundred people or fewer, officials said, with perhaps a dozen or so attracting more than 5,000. The National Mall & Memorial Parks — the official name — extends from the Capitol to the Lincoln Memorial and is home to the Washington Monument, the Jefferson Memorial and the Vietnam Veterans Memorial. It also includes the Tidal Basin, the National World War II Memorial and the Korean War Veterans Memorial. Indeed, one of the proposals is to move the Sylvan Theater, whose 1970s structure stands about 10 feet from the Washington Monument’s new security perimeter. A new location was not identified. The Kutz Bridge entered Washington lore in 1974 when a girlfriend of U.S. Rep. Wilbur D. Mills jumped from it into the water during a police stop. A stripper known professionally as “Fanne Foxe,” she was rescued unharmed, although Mills’s reputation was tarnished. Other proposals call for paving the Mall’s gravel walkways and building a playground near its carousel. Union Square, between Maryland and Pennsylvania avenues and Third and First streets NW, has been a controversial place for demonstrations. Prior to President Bush’s 2006 State of the Union address, protesters had to go to federal court to gain access to the site, which police had said was inside a security perimeter. “They’re suggesting that robust political speech and use of [the Mall] . . . for political protest is somehow incongruous or in conflict with the location itself,” she said.